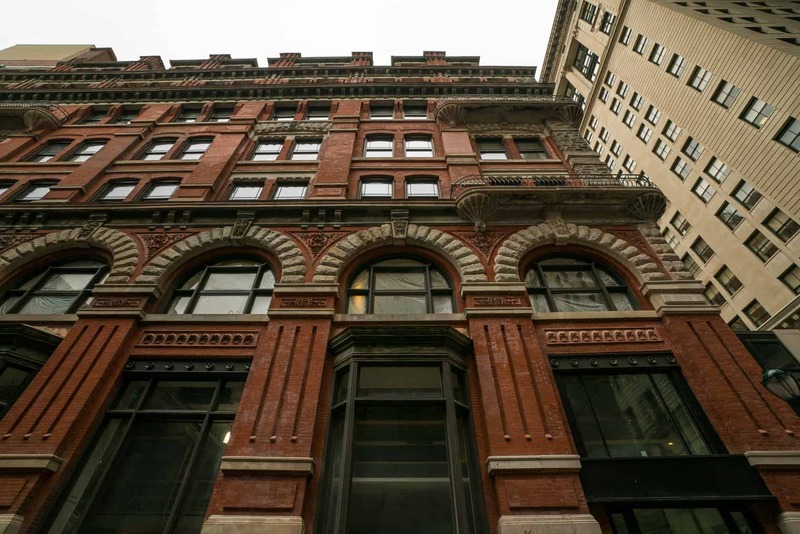 Few historic rehabilitation projects in Philadelphia have gained as much attention in the last few years as the Hale Building, named after its iconoclast architect, Willis G. Hale. 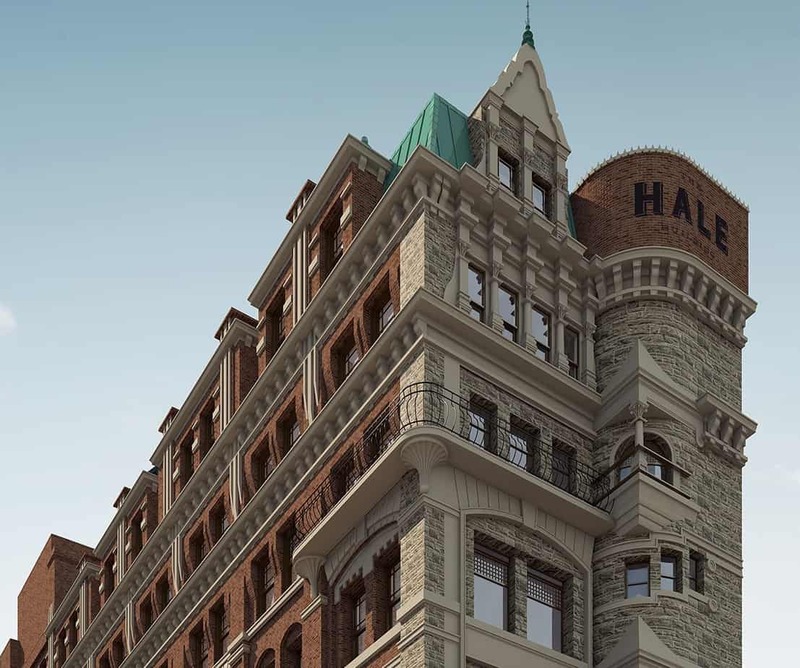 Although lambasted by some as a “monstrosity” and “architectural aberration” upon its completion in 1887, the Hale Building’s imaginative profusion of turrets, dormers and ornamented masonry has gained much admiration in recent years. Although it stood largely vacant for decades, Brickstone Properties saw promise in the building as an ideal candidate for office re-use. 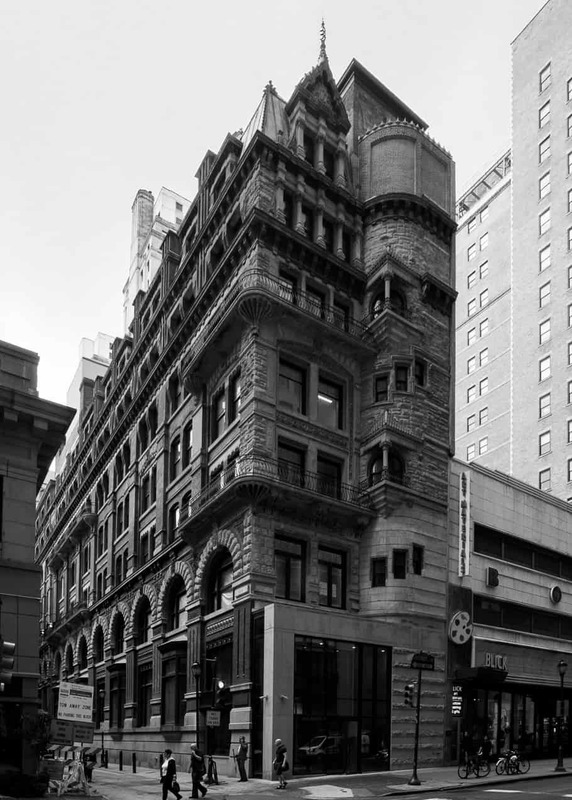 Powers & Company’s role was to guide the rehabilitation through the Federal Historic Tax Credit process, providing direction on all aspects of the project, including the restoration of the building’s finely crafted stonework, selection of historically appropriate windows, preservation of significant interior finishes, and the design of new treatments, such as the storefront. The building opened in late 2018 as Spaces, a co-working concept.